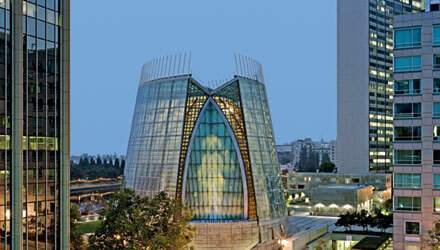 The history of the cathedral of the Diocese of Oakland is instructive for understanding the early influence of the Second Vatican Council on the subsequent design of many Catholic churches. 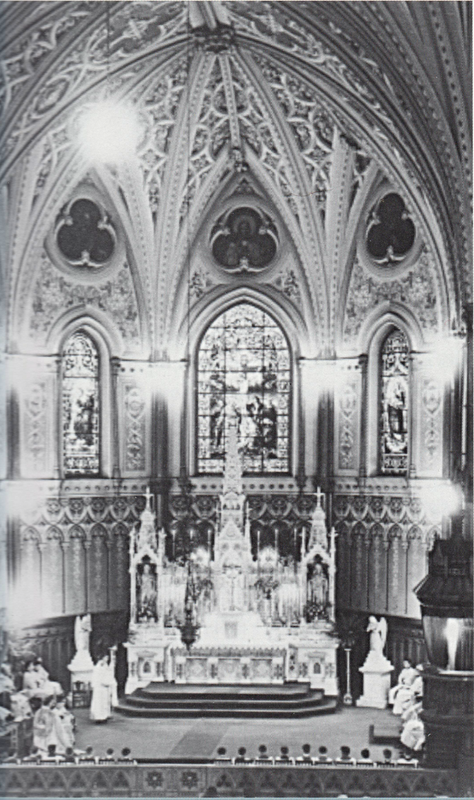 The recently-installed bishop of Oakland at the time, His Excellency Floyd Begin, the Diocese’ first bishop, had attended every session of the Council and returned in 1964 determined to renovate the existing cathedral, built in 1893, rather than spend a large sum on of money on a new one. “Dance, slide presentations, photography, innovative preaching [? ], all became regular features in the Cathedral liturgies. …In late 1969, the Cathedral featured an Advent series entitled ‘We Hold a Strange Hope’ to explore how to maintain hope in the midst of the social chaos that was engulfing the United States. The first week featured four blown-up portraits hanging in the sanctuary — Che Guevara, Joan Baez, the Rev. 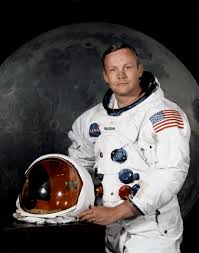 Martin Luther King Jr., and Neil Armstrong” (p.52). Introibo. Tantum. Ergo. Kyrie Eleison. Give me back my pamphlet rack and surplices with lace on. If Catholic means rock-and-roll I’d rather be a Mason. There were several verses to go with the refrain. I don’t think one could say it was even borderline blasphemy, but deliberate and cold-hearted. The historians triumphantly concluded, “In short, the Cathedral liturgy was achieving what the council had mandated” (p.53). “…[T]here must be no innovations unless the good of the Church genuinely and certainly requires them; and care must be taken that any new forms adopted should in some way grow organically from forms already existing” (Article 23). Some of the directives of the Council seem like a physician’s prescription for an ailment, but without indicating the dosage. It may be the right medicine, but the doctor leaves the dosage up to the patient’s discretion. 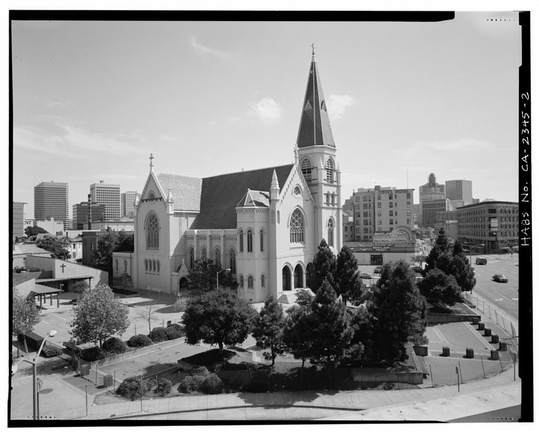 Some years later the Cathedral of St. Francis de Sales in Oakland was severely damaged in an earthquake and had to be demolished, leaving the diocese without a cathedral for more than twenty years. It has recently been replaced by the post-modernist Cathedral of Christ the Light, at a cost of almost 200 million, the most expensive church ever built in this country. 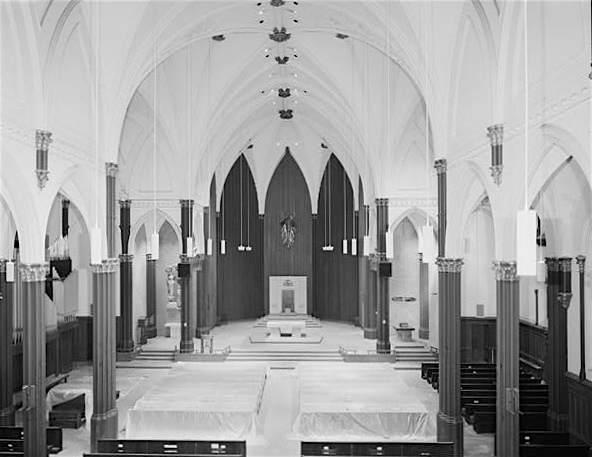 While in the case of St. Francis de Sales it was the liturgical reforms resulting from the Council that guided the bishop in the redesigning of his Cathedral, the design of the new Cathedral appears to have been left to professional architects. 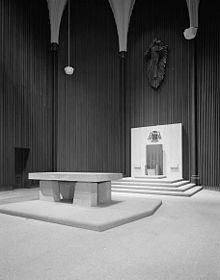 When it comes to the building of a new Church edifice, particularly a cathedral, there is a lot of pressure on the decision-makers: advisers, financiers, and the bishop, to come up with a novel and innovative design, and more importantly, make an architectural break with the past. Herein lies the problem; by stating that dioceses who employ modern secular architecture in church construction do it “at their own peril”, Mr. Douthat implies that there may be a spiritual price to pay. Typology is the study of words, events, symbols, etc. that have a broader meaning then their immediate literary context. Numbers are the most common “types” found in the Bible; there were forty days of rain, forty years in the Sinai wilderness, forty days fasting in the desert etc. It tells us that these events are connected or somehow foreshadow each other. Usually, Christian typology is studied strictly in the context of the Bible; Old Testament types foreshadow events in the New Testament. However, both Old and New Testament types continued to foreshadow the life of the Catholic Church and its liturgical manifestations. Probably the best book on the subject is The Bible and the Liturgy by Jean Danielou. He looks into the Bible for events that foreshadow Catholic liturgy. One example he explores is the narrative of the flood and how it foreshadowed the sacrament of baptism. The ark going through the water represented the purification of mankind just as for those being baptized, water represents purification from original sin. Also, he points out that the number of people on the ark is eight, the number that represents the new creation, the eighth day. Sunday is considered the eighth day as the day of Christ’s resurrection. This is why in most Catholic churches the baptismal fonts are octagonal (at least at the time he wrote the book — 1956). Baptism removes the stain of original sin enabling a new creation. 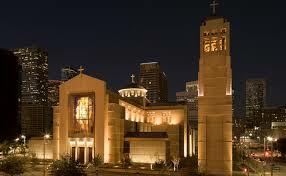 The Cathedral in Houston has an octagonal baptismal font, the Oakland Cathedral does not. 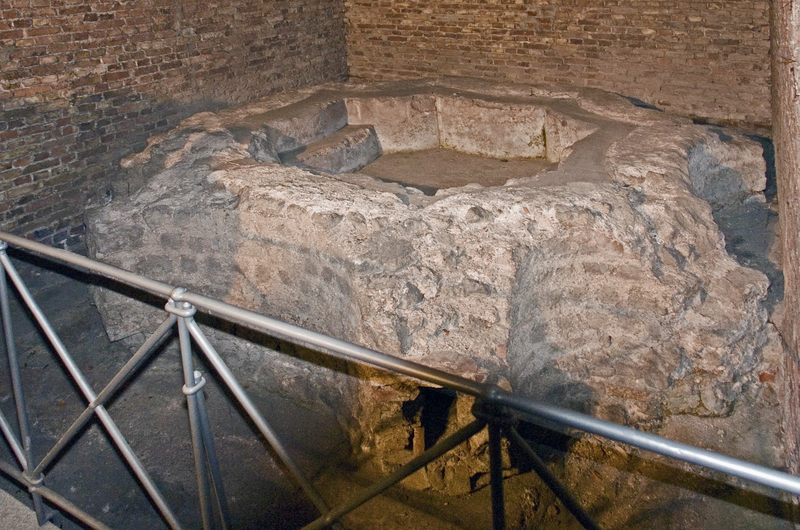 There are hundreds of such typological connections between the Roman Catholic Church and the Bible. Posted on August 19, 2015 February 5, 2017 by RJTPosted in Catholic History, Church Architecture, Traditional Catholic, Traditional Mass, Vatican IITagged Biblical Typology, Catholic History, Dechristianization, Modernism, Second Vatican Council, Traditional Catholic, Traditional Catholic Church, Traditional Mass.